Chatham is a traditional yet sophisticated town situated at the tip of the Cape's elbow. 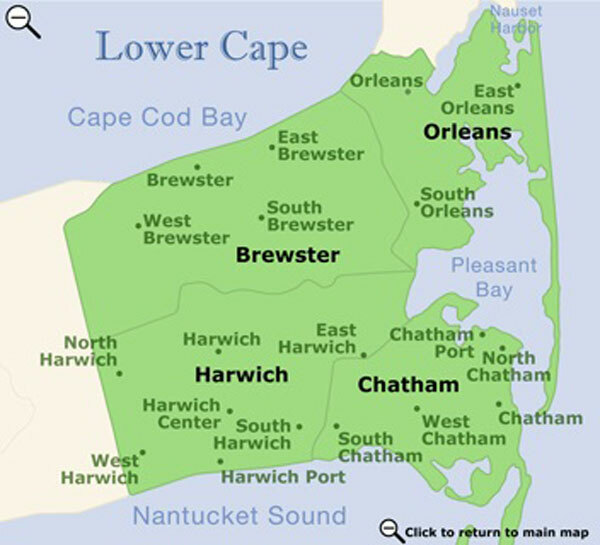 With Nantucket Sound to the south, the Atlantic Ocean to the east, and Pleasant Bay winding around to the north, Chatham is nearly surrounded by water. Its 17 square miles of land area is bordered by nearly 70 miles of shoreline, which is constantly changing. 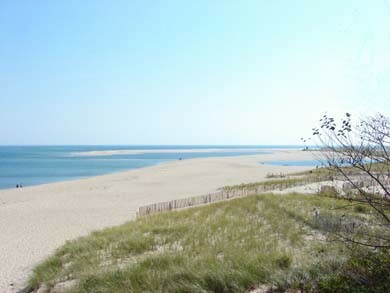 Chatham has beautiful and fairly uncrowded beaches, particularly the Outer Beach, which is accessible by oversand vehicle, boat, or by walking from the lighthouse beach. Chatham has managed to preserve the flavor of a small New England town. Main Street is lined with exclusive specialty shops, historical buildings, art galleries, elegant inns, and wonderful restaurants. Fishing is still an important industry in Chatham. From the observation deck perched above the Chatham fish pier, visitors can watch the daily return of fishing boats with their day's catch. Visitors to Monomoy National Wildlife Refuge on Monomoy Island often see deer, seals, and numerous species of birds. The Massachusetts Audubon Society sponsors tours of the area, which is accessible only by boat. Chatham hosts numerous celebrations, such as Spring Fling, SeaFest in October, Christmas by the Sea, and First Night New Year's Eve. Summer stock theater usually includes eight plays, ending the season with a Shakespearian work.